A day after successful polling was reported from the Left-Wing Extremism (LWE) affected districts of central India, with congratulatory headlines screaming, ‘People defy the Maoists’, the extremists struck back in two successive attacks within an hour in Chhattisgarh. On April 12, in the first attack, the Maoists triggered a landmine blast in the Bastar area of Chhattisgarh in the path of the returning polling officers, killing six of them. In less than an hour, Maoists struck again. This time in the adjoining Bijapur district. The weapon of choice yet again was a landmine. The target was the Central Reserve Police Force (CRPF) team, five of whom died on the spot. Two days later, the Maoists carried out another attack, killing three of the security forces. That these were the only attacks in a volatile area, where many more could have been expected, was by itself a commendable achievement on part of the CRPF, an unprecedented number of whom is deployed in the LWE districts, yet the bureaucrats at the ministry of home affairs (MHA), quick to declare victory, were at pains to explain away the attacks. According to one MHA official, the polling party had let down its guard when returning from the booth stations. They deviated from the standard operating procedures (SOP), he explained to the journalists. Right till the day of the polling they were on their guard all the time, but after that they became complacent, he said. Curiously, SOPs have become the new scapegoat. In the last few years, whenever the Maoists have got the better of the security forces, one of the immediate reasons offered is deviation from the SOPs, as if SOPs win wars. Such excuses ignore the fact that in irregular warfare, as conducted by the Maoists, the initiative will always be with them. Moreover, having played the cat and mouse game for decades with the assortment of state police, armed police, state commando forces and the Central Paramilitary Forces, the Maoists have a fairly decent understanding of their strengths and weaknesses. About three years ago, following a raid on one of the hastily abandoned Maoist’s hideout in Dantewada, the CRPF came across its training manual for the cadre. For the CRPF, the manual was shocking in its meticulousness. 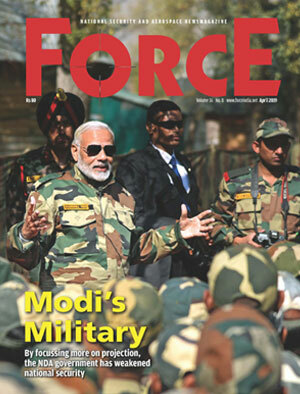 It had details about the kind of vehicles the CRPF personnel used and the degree of armour content (to determine the quantity of explosives to be used in Improvised Explosive Devices), the weapons the force had, and the percentage of vintage and new equipment among other nuggets about the personnel composition and their likely weaknesses. In addition to these, the manual contained details about the topography of their area, listing seasonal peculiarities (also pertaining to insects and small animals) and first aid and rudimentary surgical tips which may come in handy during operations. "The manual made it very clear that their training is not based on abstract concepts or archaic Maoist guidebooks,” an officer who was privy to the confiscated material told FORCE. “It was extremely well-researched, contemporary and in direct response to the adversary; whereas we have still been referring to the old books of the Maoists and believe that they will always behave in a certain manner,” he said. • Third, progressive control of urban areas (through encirclement of small towns) and destruction of the enemy in battle.